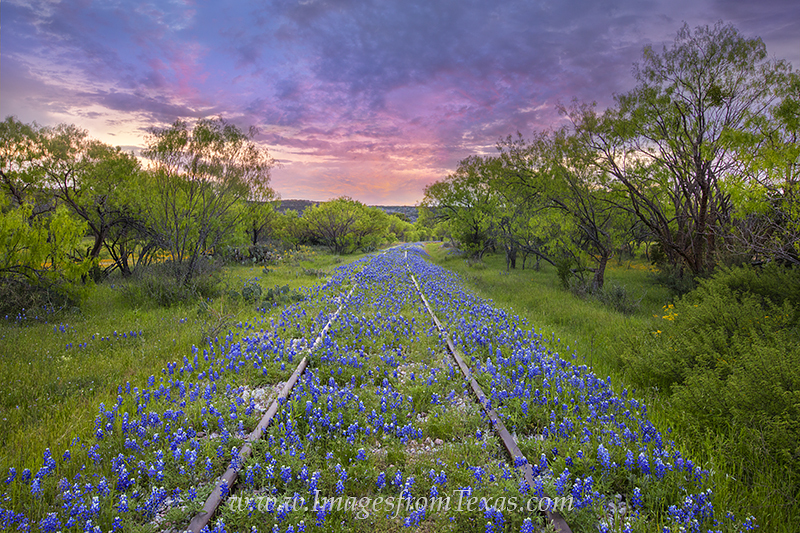 Bluebonnets grow along an old rail line in the Texas Hill Country. This wildflower image looks west at sunrise. I had my doubts about a colorful start to the day, but as I was just about to give up, the sky briefly turned pink and purple before fading into late morning colors. Photo © copyright by Rob Greebon.